Sweet and simple with a hint of glamour, this allover lace sheath features Swarovski crystal, pearl, and bead accents along the V-neckline and spaghetti straps. 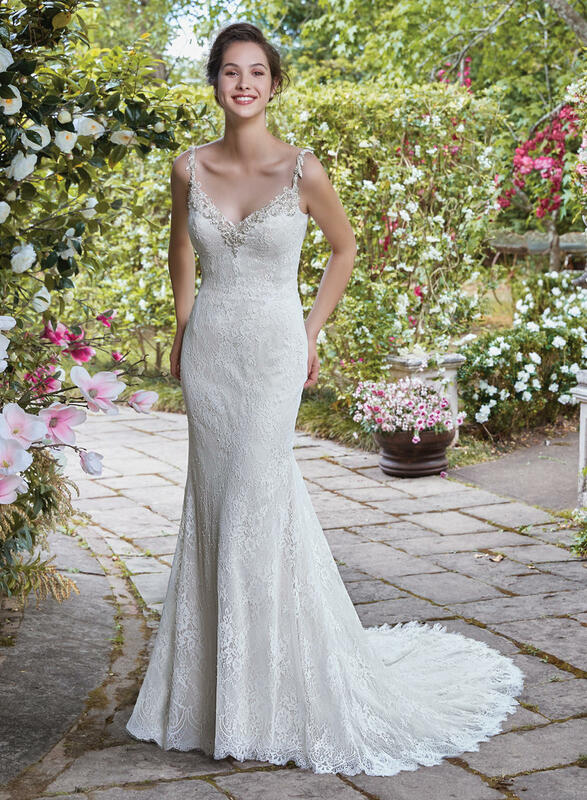 Sheer lace trim and ruching detail complete the low scoop back, accented in beaded lace appliqu�s. Finished with covered buttons and zipper closure.